Disconnect from the stress of everyday life and develop your running in a beautiful mountain setting in Catalonia, Spain. 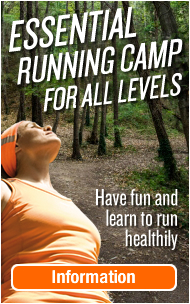 These running camps are held in the foothills of the Montseny mountain range just outside the village of Santa Maria de Palautordera – an ideal setting to disconnect from the stress of your everyday life, and enjoy running to the fullest. Runners will enjoy every aspect of their stay; they will experience memorable training runs, and will leave with a totally new approach to successful and enjoyable running, while having also enjoyed the rest and relaxation time to the full. 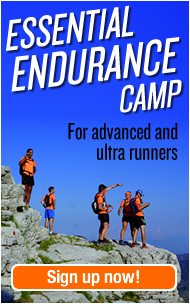 To help distance and ultra runners develop their technique, strategy, and mental preparation, and to reach their maximum potential and their goals without injury or disappointment. Deals with the issues involved in long distance and ultra running, and how to protect against some of the potential problems involved in it by focussing on optimum physical and mental health and stability for runners. Goes in depth into not only physical preparation, but more importantly into mental preparation, detailed planning, long term goals, and individual issues such as individual nutrition and hydration, individual rest and recuperation needs, and long-term training plans. Does this fit my ability and ambition? • Minimum running requirement: can easily run over ½ marathon distance (21 km). 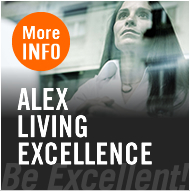 • Maximum running requirement: no maximum, all levels will benefit. • Perfect for more experienced runners. • What kind of runners? Runners who want to further develop their running for long distance and ultra, both for racing or for general running enjoyment. • Suitable for distance and ultra runners. • A great complementary fit for road runners and perfect for mountain runners (terrain is mountain terrain, but road runners will be able to fully enjoy and benefit from the training runs as there are 2 available training groups daily depending on runners’ abilities). 7 days and 7 nights all-inclusive training camp (airfares not included) in a peaceful country home with theory sessions, guided training routes, superb local meals, and tourism. Can’t make the 2015 summer dates? Please consult the website or contact us directly for other dates and locations for 2015 and 2016 dates. 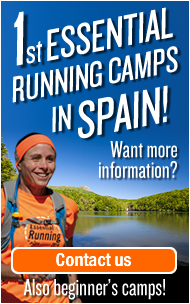 Essential Running and Essential Endurance camps are not for absolute beginners – if you are looking for a beginner’s running camp, please contact us for details of beginner’s courses and camps in Spain. Transport to and from Barcelona or Girona airport will be arranged for participants travelling from overseas. Participants are responsible for their own travel arrangements to Spain. Abundant, healthy, and delicious international cuisine all prepared from fresh local produce. Menus are designed for optimum health and enjoyment. Please send requests via email or under “comments” when registering.